In his New York Times Sunday Book Review of Louis MacNeice’s Collected Poems, entitled “Free Range”, David Orr praises the palimpsestic nature of MacNeice’s final volume. Orr offers that, in this collection MacNeice’s voice emerges out of the shadows of W.H. Auden and who Orr refers to as the “MacSpaunday poets” (Louis MacNeice, Stephen Spender and Cecil Day-Lewis) to create an identity of his own. As a result, MacNeice’s popularity is steadily rising. Orr attributes this spark in readership, in part, to support from other Irish writers such as Edna Longley, Paul Muldoon and Derek Mahon. Orr provides an intimate glance into MacNeice’s melancholic childhood, a theme that permeates much of his work. He also praises MacNeice’s versatility via style and content, thoughtfully complimenting MacNeice’s beauty in repetition and refrain. There is a sense of circularity to MacNeice’s work, always harkening back from whence it came. It is in this tradition that perhaps his work will continue in popularity as, according to Orr, “MacNeice’s excavation is now complete; readers who meet him halfway will find a passage that opens and opens and opens”. 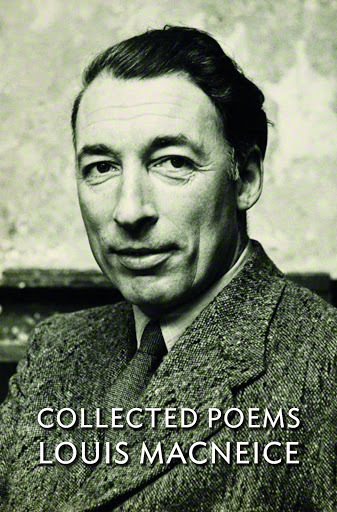 Purchase your copy of Collected Poems by Louis MacNeice on our website.